Do you live in Portland, Oregon? Columbus, Ohio? Louisville, Colorado area? Join us for Ethiopian Children Art Parties! 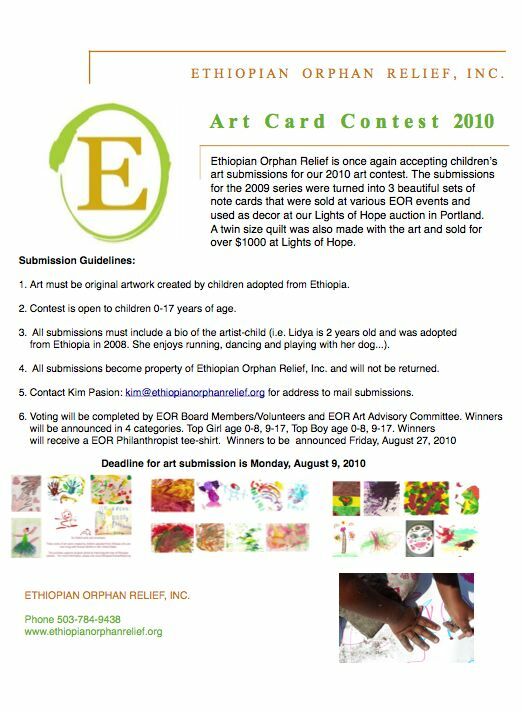 EOR is having a Art contest and we’re actively taking submissions of art masterpieces created by children adopted from Ethiopia. Attend one of the art parties and you can submit your child’s work at that time. Can’t make a party? You can still join in on the fun! 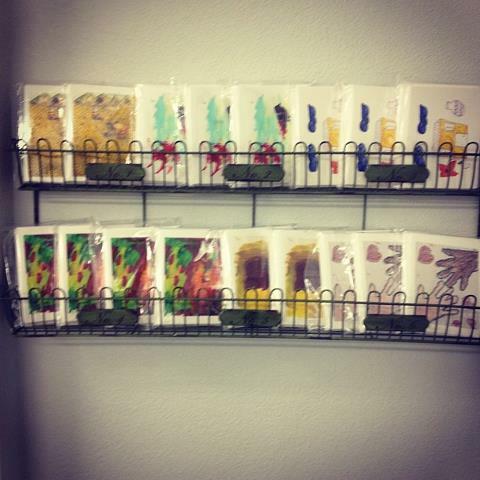 Mail your child’s art to EOR. Email kim@ethiopianorphanrelief.org for mailing details. Special Thanks… Mile High Wines. Recently some good friends of ours at Mile High Wines in Lakewood, Colorado, held a wine tasting with a few hundred people in attendance. They donated all of the revenue from that tasting to Ethiopian Orphan Relief. Thank you so much, Chris! If you live near by stop in and thank Chris yourself, and be sure to rub Zeke’s belly (calm down, Zeke’s the weimaraner). Someone else is scheduled to blog today, but I thought I’d share this photo from the session Greg did at Art for Ethiopia. There was a family photo fundraiser before the big art event, and in between we turned up the music and danced with our bad selves. It’s that time of year again– time to plan the second annual Ethiopian Orphan Relief Art for Ethiopia art sale and auction. We had a wildly successful event last year, raising over $12,000 to benefit Children’s Heaven’s new facility fund. We just had our first planning meeting for the event which will be held on Saturday, November 14, 2009 at Flash Gallery in Lakewood, Colorado. This year, we plan to create a fancier event for adults without kids in tow and will hold the children & family photo shoots by Greg Cradick earlier in the day. Spaces will fill up quickly for the photo shoots (all proceeds will benefit EOR), so people will need to sign up before the event for them. We are so grateful to have a wonderful planning committee this year which includes Greg Cradick (co-chair with me), Danielle Marquis (EOR prez), Shawn Rodda, Tracy Stevens, Emily Andronicci (Lauren’s sister), & Katy Bell (awesome new Board member and one of my personal heroines). We also hope to have a host of volunteers to help both before and during the event. 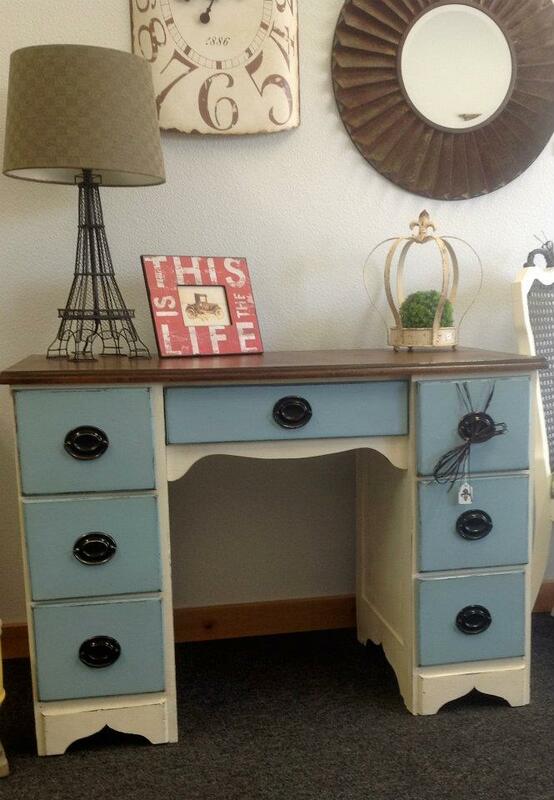 This year we plan to solicit art from regionally as well as nationally recognized artists. Tune in later for more details about that. We will also be selling tickets for this year’s event which will feature fine art, heavy hors d’oevres, drinks, music and a chance to dress up and wear those high heels that are buried in your closet (or in my case, a chance to purchase a pair of high heels since I gave away my only pair already). For now, save the date and let us know if you’d like to help as a volunteer or if you have any fabulous art to donate! We are all looking forward to it!